We are pleased to offer a Spanish-English Two Way Immersion Program for grades K-6. We work in partnership with Boston College and the TWIN CS (Two Way Immersion Network for Catholic Schools). Our program is an 80/20 Two Way Immersion Model in which students learn content in more Spanish in earlier grades and increase instruction in English with each consecutive grade until they reach 50% in English. We have bilingual, self-contained classrooms and our staff teaches their homeroom class in both languages depending on the content. 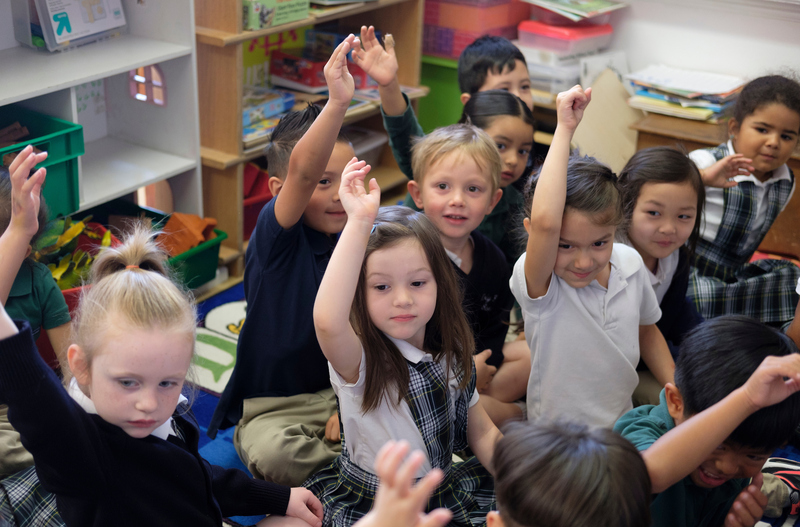 Beginning in kindergarten, students learn to read in both English and Spanish. We enhance the curriculum with cultural studies and authentic texts from Spanish-speaking countries. Our program is regularly evaluated and teachers receive continual, high-quality professional development in language instruction with the support of an experienced mentor. Serve as an authentically bilingual preschool-8th grade school through academics, activities and events. Prepare students for high school by incorporating best practices, project based learning and high academic expectations. Produce bilingual, biliterate and culturally aware students who can effectively communicate in a global world.